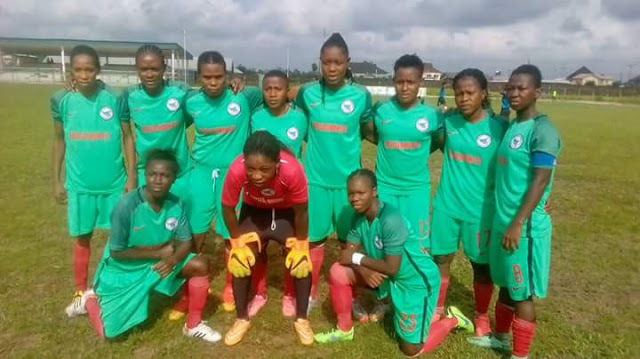 Bayelsa Queens Head Coach, Tonye Amabebe has said his team and not Rivers Angels will be crowned champions at the end of Nigeria Professional Women's League Super 4, in Benin City next week. Rivers Angels coach, Godwin Okon, had boasted before now that no team can match his team but Amabebe differs. "We know the standard will be very high but we now have the full complements of our players, coming from The Super Falconets after the Tanzania massacre. So I can beat my chest and say we are the champions designate. Others can dream about it but we are realists and will surely win it for our state and its sports loving Governor, Seriake Dickson. The coach also said the fact that all his career he has been coaching male teams and this is his first experience with the women, will also play a part. "It means my girls will be fitter than other teams, because I train them like the guys, just watch out and see how we will conquer other teams in The Super 4. He again heaped praises on the people and government of Edo State, for sponsoring The Super 4, assuring Governor Godwin Obaseki, that his labour of love shall not be in vain. "When The Super Falcons or Falconers win the World Cup, I hope nobody will forget Governor Obaseki and his hard working team." The new NPFL leadership has also shown that it has a vision to take the game to the next level, thanks to Auntie Aisha Falode and her unbreakable team.